When you look at a design – a web page, a leaflet, in a magazine or other kinds of printed or digital design, you might think it looks fantastic. Equally, you might not be so keen, or possibly somewhere in between. But why is this? What makes us like a design? Sometimes we may say ‘the colour scheme is great’ or ‘I love that cute picture’ but others there may be no intuitive reason why we like and are drawn to certain graphical designs. In this book by Robin Williams however, she introduces the four principles of design: Contrast, Proximity, Repetition and Alignment. Apparently, discerning use of these four principles determines whether a design is good or not. And, having read the book, I now look at designs on the web, in print etc and it is these attributes I look for. I can, then, confirm that I agree that it does appear to be these principles that determine a good design from a bad one. The reason I made this purchase was to hone my design skills – in particular for the web. I’m no graphic designer; I can barely draw. But, I want to create cool web applications, and if they don’t look good people wont be drawn or care too much for them. For this reason, the book has been a huge benefit. I know that I’m not a designer, but I now know I have the knowledge to make some attractive and visually effective designs for the web. What I have learnt from this book is not just limited to the web. Any documentation – my CV for example, can immediately be improved just by applying the principles of contrast and alignment. Also, prior to reading this book, I just could not tell you the rationales behind a good colour scheme. However, now I can. 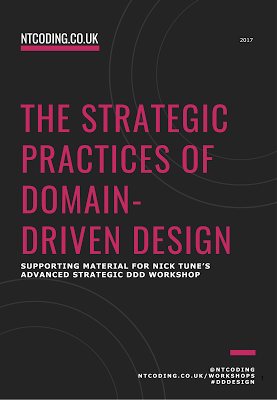 If you’ve ever tried to design a web page or some other graphic and just been perplexed at how to choose and use synergistic, harmonious or just any colours that ‘work’ together, then in just one small chapter, this book will end those dilemmas forever. Fonts and typography are also covered in-depth. Knowing the different types of fonts, how they combine and how to distinguish them now seems like a crucial skill. Since reading it I’ve studied a number of designs, and consistently, everything taught in ‘The Non-Designers Design Book’ seems to be entirely accurate. One last set of compliments I have for the book is its layout and structure. As you would expect from a designer, expert use of colour and graphic has been used. What’s good is that all the frills are pertinent to the topic. There is no extraneous material; the graphics are used to exemplify the points being made by the author. Also, the book claims to be for beginners and this claim is lived up to perfectly. I am in debt to this book. It has made styling my web applications a more methodical process. Sure, I can still be creative, but at least I can be creative within the guidelines of good design!